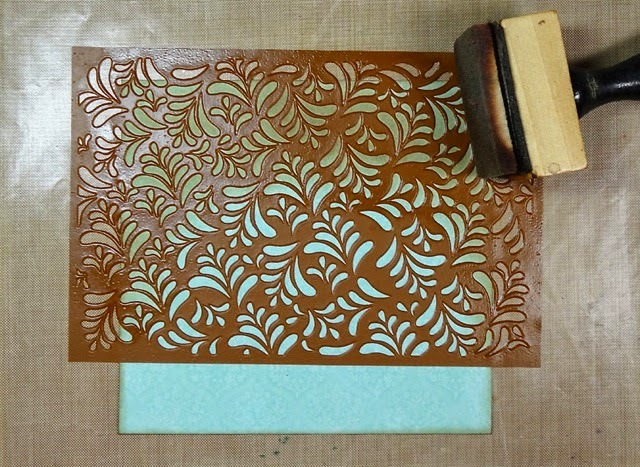 Cut pattern paper piece for card’s inside 4 1/2” x 4 3/4” then apply stencil and swirl a light brown ink in an arching motion to the top portion of paper. 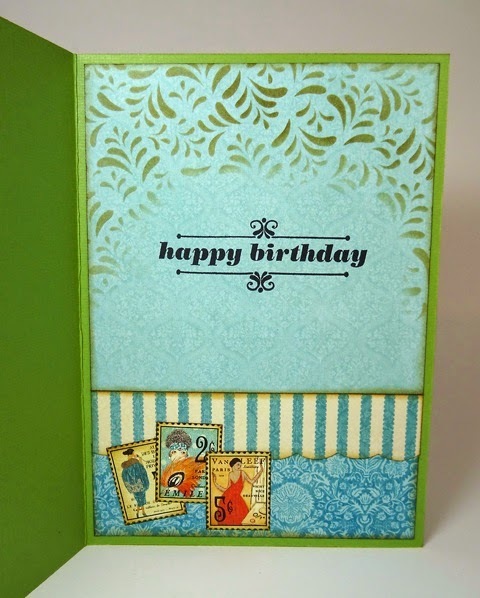 Adhere to inside of card, adding more pattern papers, then stamp “Happy Birthday” in black ink. 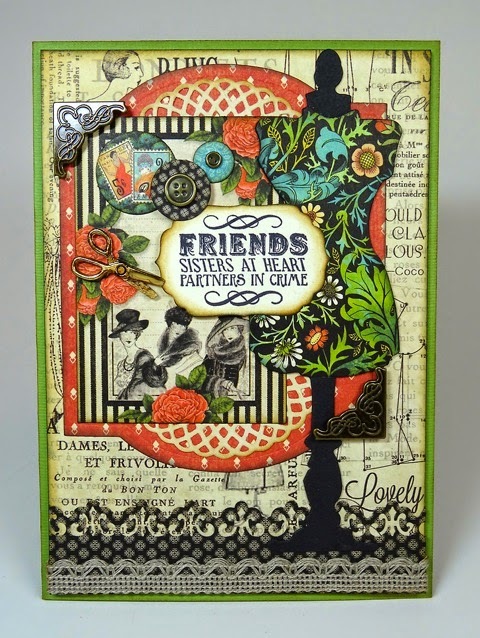 Assemble card front with various Couture papers, stamp sentiment on a die-cut label and add to front, along with misc. embellishments. Annette, your card is just lovely. Thank you for sharing your amazing talents with us. 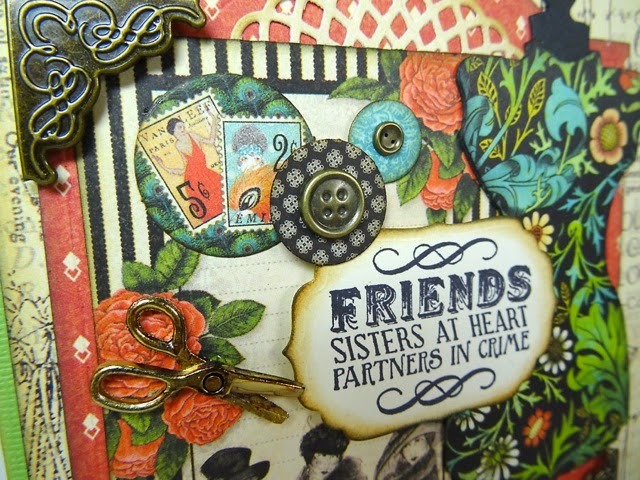 How lucky are you to play with Graphic 45 products.